Don't sit for hours in a waiting room, we'll see you online in minutes. 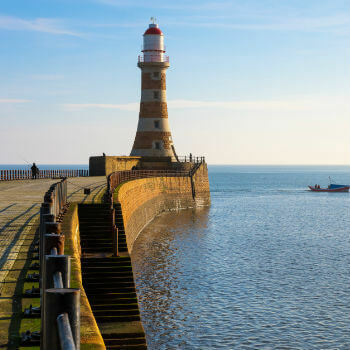 Do you need a GP appointment in Sunderland? See a doctor online in minutes instead. Like any city, Sunderland's health services are often extremely busy. If you don't have time to spend a day in a waiting room, it can be really difficult to see a doctor. 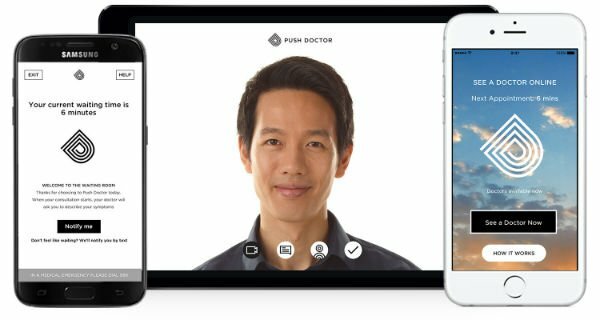 With Push Doctor, you can connect with a GP onlinein minutes using your smartphone, tablet or desktop computer. You can book an appointment from 7am until 8pm every day, including weekends and Bank Holidays. If it's not convenient to see a doctor right away, you can simply book an appointment to suit your schedule. See a doctor in Sunderland without waiting. Have you ever thought that you could get the diagnosis you need from your doctor without travelling all the way to the surgery in person? In turns out that 80 per cent of the time, a physical examination isn't needed. Instead, you can talk to a GP face-to-face with Push Doctor and discuss your symptoms. If they need to look at anything, they can. The point is, you'll get what you need quickly and easily. Our doctors can deal with a range of medical issues, including hearing problems, skin conditions and sexual health. Learn more about walk-in centres in Sunderland below. Found in west Sunderland, Bunny Hill Primary Care Centre is home to a Minor Injuries Unit. They can treat problems which can't wait for a GP, but aren't serious enough for A&E. Looking for pharmacies in Sunderland? Find the best place to pick up your prescription in Sunderland. Bunny Hill Pharmacy is in the same building as the walk-in centre, so it couldn't be easier to collect any medication that you've been prescribed by a GP.